I saw your post on Michlib requesting info on book bags. 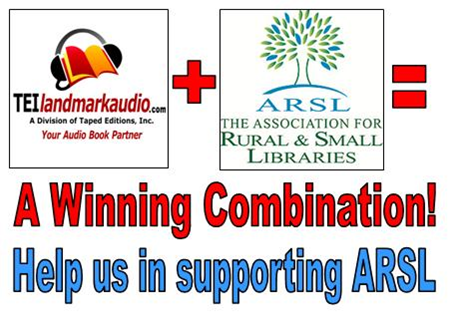 As a distributer of audiobooks to libraries, we have attended many library conferences and offered book bags such as what you are looking for as our vendor "give-away". We worked with a company called Promo Direct, and ordered their Celebration Tote Bag (item #6675). They are durable, colorful and cost effective. The website addy is promodirect.com. You can click here<http://www.promodirect.com/catalog/srhkeyword.cz;jsessionid=EEEF3D0EF9C4F4AA1A3A7FFB298D2387?keyword=6675> to go directly to the image and info on this item. I hope you find this information to be both timely and useful! "Your non-electronic, non-online, no additional cost, user-friendly, live-person-answering-the-phone audiobook rep!"